"Flake rate": the metric Obama field staffers will be monitoring when you're watching the speech. CHARLOTTE — The metric of the day for Barack Obama’s field team is “flake rate”: the percentage of supporters who had registered to attend his open-air stadium speech but won’t show up for one of the replacement events the campaign is scrambling to arrange in its place after moving tonight’s convention session indoors. 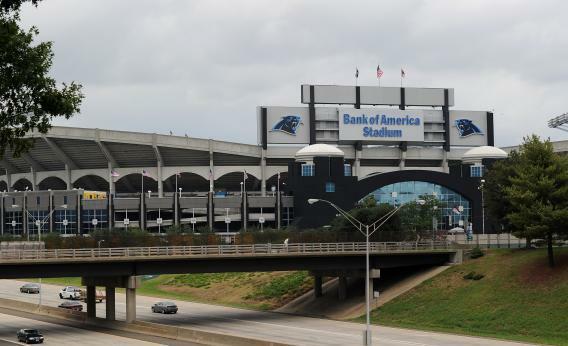 Field staffers had seen the stadium event as a major boon for their local organizing efforts in North Carolina, much as they credit a similar arrangement in Denver four years ago with helping to deepen their footprint in Colorado. Both are states where Democrats have had limited recent presidential-campaign experience, and Obama used the mega-events as a way of gathering data on local voters and galvanizing local volunteers. For months the campaign has been running a unique volunteer-recruitment program in the Carolinas whose prize was a ticket to the Bank of America Stadium to see Obama. Today the campaign is rushing to find locations around Charlotte where it can reroute as many as tens of thousands of those volunteers to watch live broadcasts of the speech instead. Once there, field staff hope to put them to work much as they would have during downtime at the stadium, operating as a pop-up phone bank calling voters from cell phones. To help keep those volunteers from flaking and watching the speech from home, campaign staffers are trying to persuade celebrities in town to skip the convention hall tonight and drop by one of the remote locations instead. The catch: the celebrities will probably be unable to get back into the arena to watch Obama themselves. Even if Obama’s field staff are able to improvise nimbly enough to minimize the flake rate, there is another metric that is sure to disappoint the finance department in Chicago: lost revenue from Obama merchandise the campaign had planned to sell during a festival-like day at the stadium.